STA has agreed an exclusive new 3-year sponsorship deal with Speedo, the world’s leading swimwear brand. With effect from 1st June 2018, the iconic Speedo logo will start to feature across all of STA’s learn-to-swim materials, including the International Learn to Swim Programme (ILSP) awards programme. As part of the deal, Speedo is also sponsoring STA’s staff uniform. For STA members, Speedo will be offering 10% discount across all its swimwear ranges at www.speedo.com. Log in to your STA Online account and go to your member resources for more information on how to access your discount! Dave Candler, STA’s CEO said: We are thrilled to be working with Speedo, one of the most famous swimwear brands in the world. The partnership will open up many new exciting opportunities for STA, particularly for our marketing team in support of our charitable objectives. 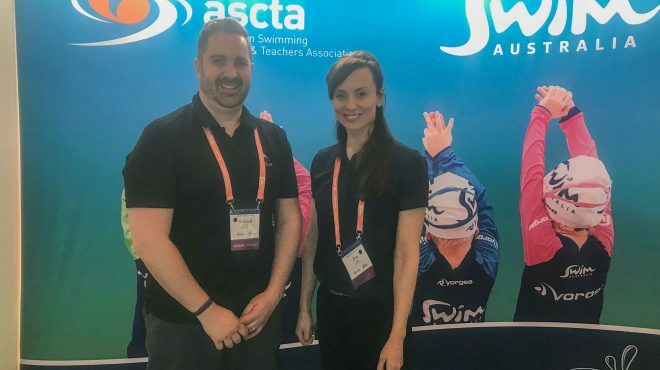 Justine Whitby, Commercial Director for Speedo said; Speedo is passionate about swimming and dedicated to supporting initiatives that allow people to enjoy the water safely. STA is a fantastic charity which shares our passion for swimming and water safety and we are proud to partner with the association to support their ongoing charitable objectives.